This is a full-resolution mosaic of the central 256 frequency planes of 30 GALFA-HI images, centered on 0h Right Ascension. The RGB color is derived by combining 3 adjacent frequency planes. All gaps, such as that around 20 degrees declination, are due to incomplete coverage in the input images. Version 4.0 is a major upgrade of Montage, released with a BSD 3-clause license. 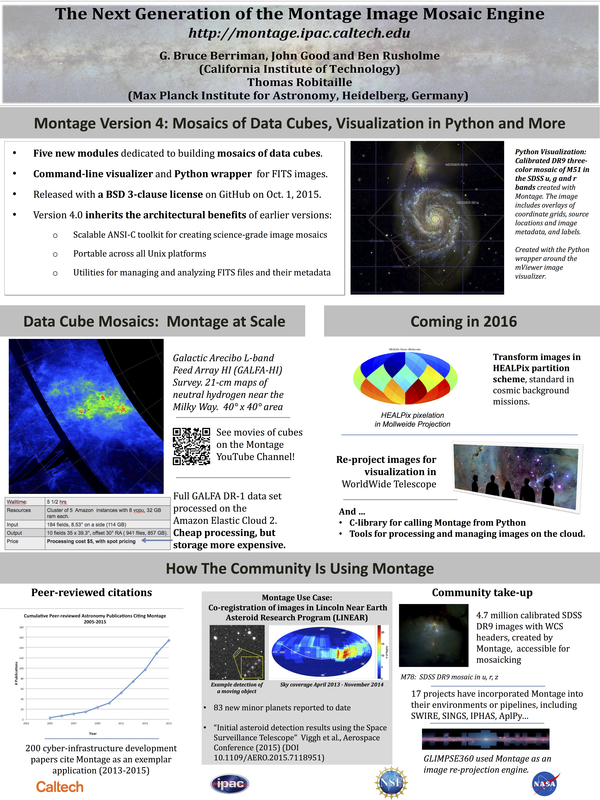 The distribution is available from Git Hub at https://github.com/Caltech-IPAC/Montage and from the Montage web page at http://montage.ipac.caltech.edu/docs/download.html. mTranspose: Re-orders axes of multi-dimensional data sets. mProjectCube: Reprojects a single cube to the scale and coordinate system specified by the user; it supports all projections in the World Coordinate System (WCS) library; and it supports the “Drizzle” algorithm. mSubCube: Creates a subimage (“cutout”) of a cube. mShrinkCube: Reduces the size of a FITS cube according an input scaling factor. mAddCube: Co-adds the reprojected cubes to form the output mosaic. All but mTranspose are analogs of modules for creating two dimensional mosaics. Backwards-compatible updates to existing modules to support processing of data cubes. A new module, mViewer, supports rendering from the command line of multi-dimensional images as well as large-scale images. It creates JPEG and PNG output files. The JPEG files contain AVM tags, which support incorporation of the images into the WorldWide Telescope (WWT) and other E/PO tools. A beta version of a Python wrapper around mViewer to support incorporation into Python processing environments. A tutorial on creating a mosaic from data cubes. As with earlier releases, the new release is written in ANSI-compliant C and intended for use on all common Unix-based platforms. It was tested formally on RedHat Enterprise Linux Server 5.9 and on Mac OS X 10.9.x, with the gnu cc complier version 4.1, and the primary test data sets were public data cubes measured with the OSIRIS integral field spectrograph at the Keck Observatory and cubes released by the Galactic Arecibo L-band Feed Array HI (GALFA-HI) Survey. 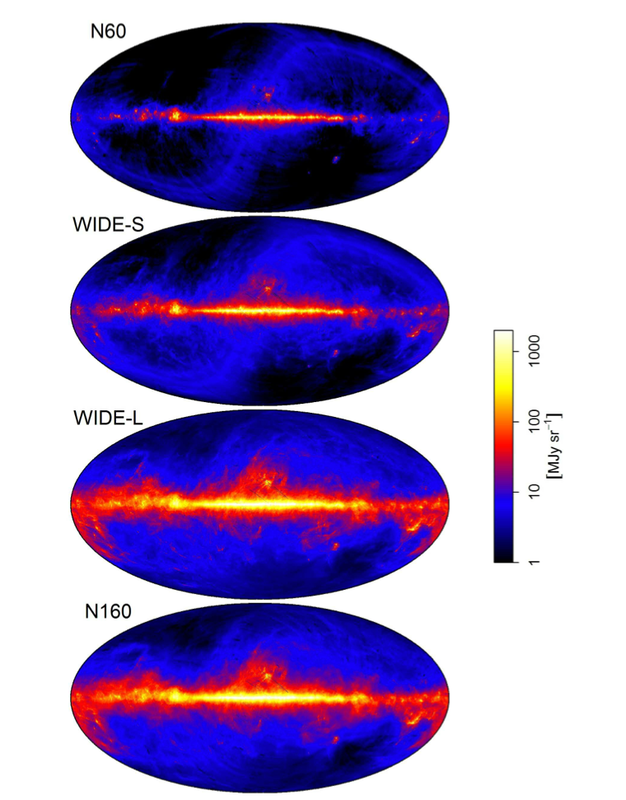 This image represents an average of the central 10 velocity planes of a mosaic of five data cubes released as part of the Galactic Arecibo L-band Feed Array HI (GALFA-HI) survey (Peek et al., 2011, Ap J Suppl, 194, 20; DOI 10.1088/0067-0049/194/2/20; ADS Bibcode 2011ApJS..194…20P). GALFA is a high-resolution (~4′), large-area (13,000 deg2), high spectral resolution (0.18 km s-1), and wide band (-700 km s -1 < v LSR < +700 km s-1) survey of the Galactic interstellar medium in the 21 cm line hyperfine transition of neutral hydrogen conducted at Arecibo Observatory. See the Data Cube Mosaics tutorial on how to compute a data cube mosaic such as this. McQuinn, Mitchell and Skillman (2015) recently published “The Panchromatic STARBurst IRregular Dwarf Survey (STARBIRDS): Observations and Data Archive.” They combined new and archival multi-wavelength observations for 20 nearby starburst and post-starburst dwarf galaxies to create a new archive of calibrated, homogeneously reduced images: the “STARBurst IRregular Dwarf Survey” archive. 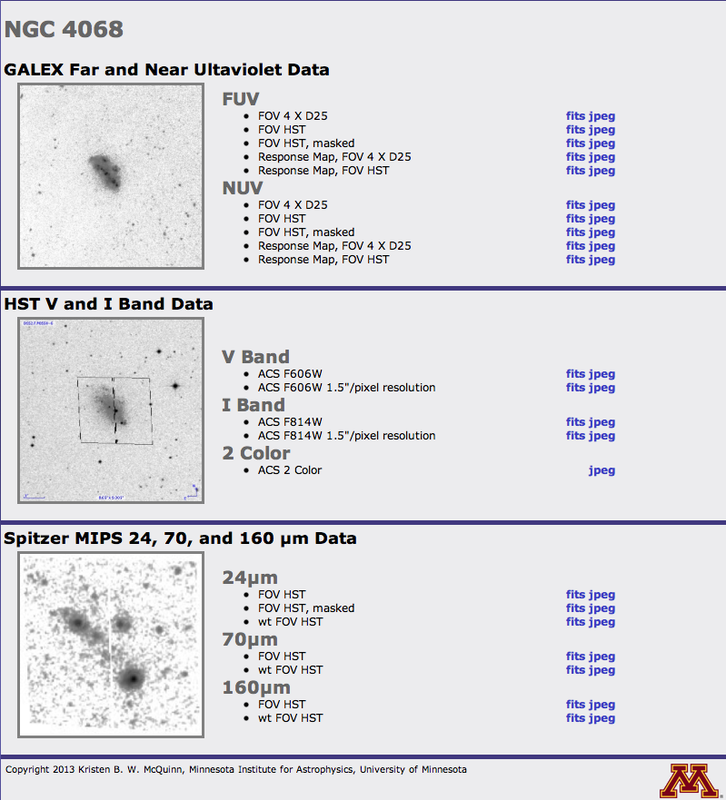 They aggregated images from the Galaxy Evolution Explorer Telescope (GALEX), the Hubble Space Telescope (HST), and the Spitzer Space Telescope (Spitzer) Multiband Imaging Photometer instrument. The data sets include flux calibrated, background subtracted images, al co-registered to the same world coordinate system. The team used the Montage module mJPEG to create grayscale preview JPEG files of all the FITS files – you can see some examples below. The JPEGs were made using a Gaussian stretch of the full range of the original image up to a maximum flux level of 99.999% of all pixel values. One of the benefits of the Montage toolkit design is that components such as mJPEG can be included in a script or program for bulk creation of images. 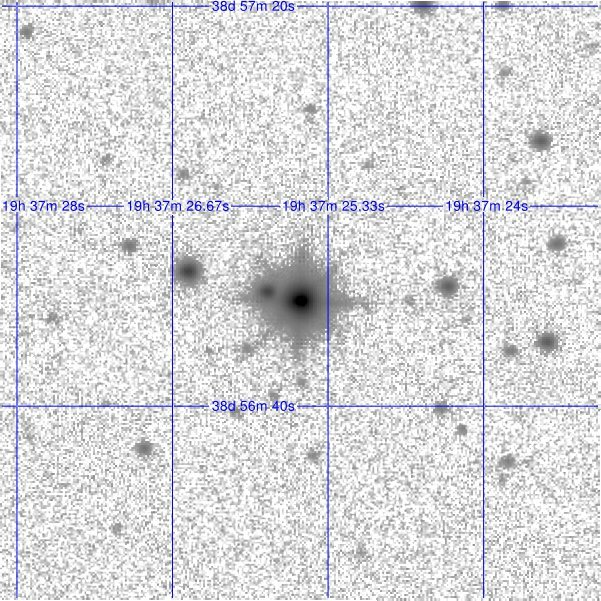 Visit the archive at http://groups.physics.umn.edu/starburst-dwarf/_galaxy_sample.php. The Kepler Community Follow-up Program, known also as the Kepler Follow-up Observation Program and KFOP, is a program instituted to conduct follow-up observations on Kepler Objects of Interest (KOI), or signals observed by the Kepler spacecraft that may indicate the presence of a planet transiting its host star. Because the transit method of finding planets tends to produce a large number of false positives, KFOP is intended to rule out false positives amongst the KOIs and confirm more discoveries of exoplanets. The NASA Exoplanet Archive, in support of the KFOP, has utilized Montage to generate a finding chart and nearby source catalog for all of the Kepler planetary candidate systems. 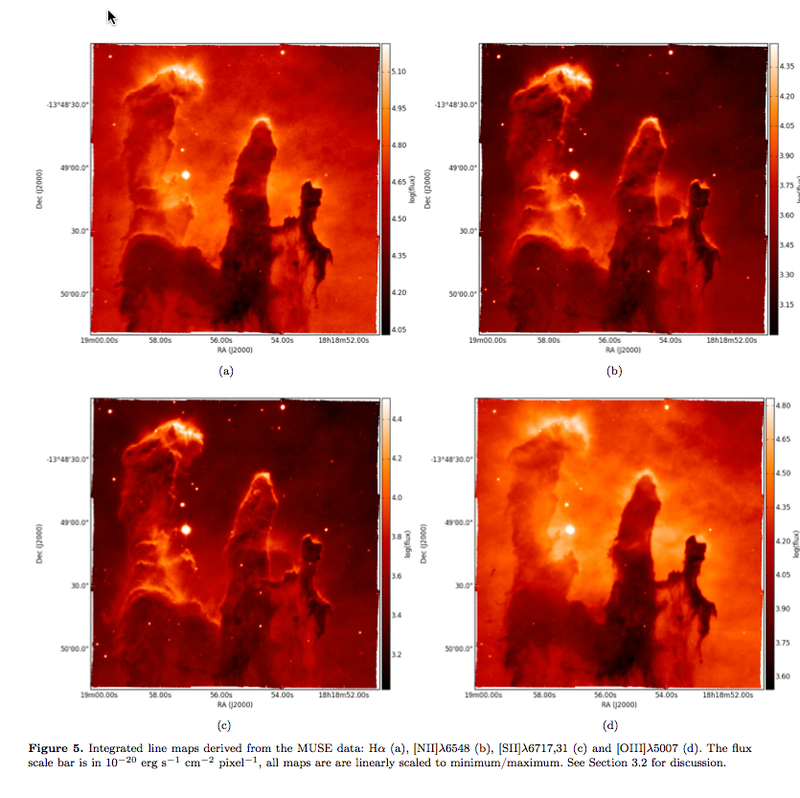 The UKIRT Observatory had performed a J-band survey of the Kepler Field and generated a source detection catalog; there are 1100+ individual images with 16 million sources in the survey. Montage was used to index the images and the catalog (using an R-tree indexing scheme) to enable rapid determination of the best image for each Kepler target and to create a list of sources within 30″ of the Kepler targets. Montage was then used to orient all of the best images and generate 1 arcmin cutout images with jpeg previews, overlayed with an equatorial coordinate grid: an example is shown below. The modular design of Montage enabled the processing to be run within IDL and further analyzed, all within a scripted environment. The usefulness of the UKIRT to the Kepler Project and the Follow-Up program was greatly enhanced by the UKIRT products, and those products were easily generated and made available to the team through Montage. This blogpost was based on material provided to me by Dr. David Ciardi. Because Montage is designed is a toolkit of components written in ANSI-C, projects may integrate the tools into their pipelines and processing environments to create new data products and perform science analysis. Full sky AKARI maps at 65 μm, 90 μm, 140 μm, and 160 μm. Montage was used to support the creation of these maps.